Last week I stumbled across Elite Daily’s post “If You Have Savings In Your 20s, You’re Doing Something Wrong.” Everyone is entitled to their opinion some people don’t like to save, while others love saving. Before you throw all your savings out the window, consider these points below. If you spend all your money on your wants you won’t have enough money for your needs. What if I told you, you could still enjoy what life has to offer and build a savings account at the same dang time? There is a big misconception that saving money and having fun is impossible, unthinkable even. Howeverrrr *Franklin from My Wife and Kid’s voice,* creating a budget isn’t about restricting you from having fun. It’s about helping you get to where you really want to be, while having the freedom to have fun on your terms! Having that extra cushion and budget will make you feel relieved on those nights out. Besides, who likes to wake up with that #whydidibuyeveryonethoseshotsofpatronlastnight regret? Let me tell you what happens when you make more money and don’t have the proper mindset behind it. You will spend that money too. This only creates the habit of spending. 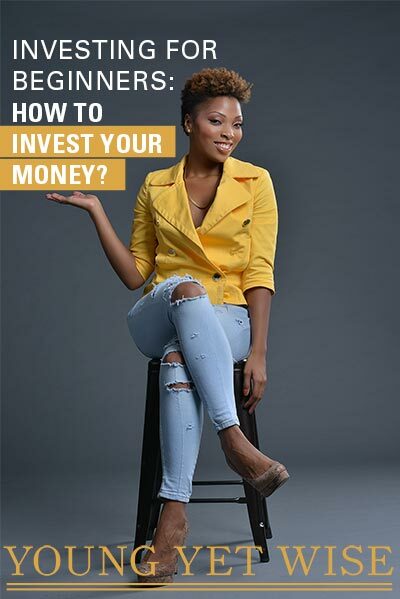 If you don’t learn the habit of putting money aside aside now, how can you realistically expect to save when you’re making more money in your 30s and 40s? Habits take consistent practice, and time. Trust me, the future you will thank you later. Its not about how much money you make it’s about how much money you can keep. If you make $100,000 a year yet spend it all you aren’t rich because your net worth is at 0. Since when did it become a bad thing to save and plan for your experiences? There’s this great thing called a high interest savings account that allows you to magically put money aside for your trips, or fancy dinners with your friends? Now isn’t that a trick worth knowing? (I love Cap one 360 because I can create multiple saving accounts for free more about savings here.) Maybe it’s just me, but if I go out and I don’t have any money in my bank account, I can’t have fun. I will be looking around at everyone in the club wondering how much profit the club is making. I will literally stand there and do the math in my head. 300 people, $20 cover, $12 for drinks if every person has 3 drinks that’s $16,800. And don’t even get me started on group dinners. I met a woman who was savoring her youth a few weeks ago, and now she’s 40 with no savings or retirement. She told me she wished she would have been smarter about her money when she was younger. What you do when you are young will follow you when you get old. In fact, not caring about your money while you’re in your 20s is begging for you to be stressed when you get older. It’s better to figure it out now, pun intended. This is true. But what about that important thing called, what is it, legacy? The next generation? After all, isn’t that what it’s all about? My goal is to leave funds behind for my children, and grandchildren because they are the future. This is what’s called building wealth. If your employer has a 401K plan that match your contributions, it is more than OK to participate. That’s free money people. You don’t’ have to babysit the interest saving 401K account. You set up automatic deductions from you paycheck and check the account once a year. After a year, check the account balance, you will be more than happy with the results. By the way, congratulate yourself for making a wise decision. I sleep better at night when I have savings in my bank account. Not having money in my savings account literally gives me nightmares. When I got let go from my last job, if it hadn’t been for my emergency savings I don’t know how I would’ve made it. I would have been full of regret thinking about all the money I wasted on my wants. They say money can’t buy happiness, but it sure can give you a peace of mind. It’s easy to spend all you have, it takes discipline to save I am in my 20s, and I have savings. I wouldn’t have it any other way. If people think you’re doing it wrong who cares. People can live the life that they want. I save because I’m on a mission to be smarter about my money. There isn’t a safety net called mommy and daddy that I can run to if I spend all my money on my wants. I am my parents’ safety net. What’s your reason for saving in your 20s?